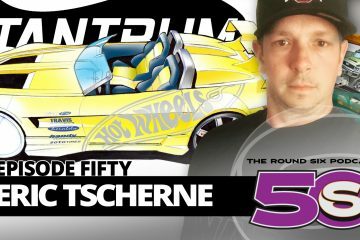 Part two of the Eric Tscherne interview, guest-hosted by his former mentor at Mattel/Hot Wheels, Carson Lev. 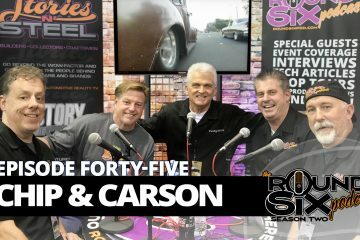 In this episode, the Gearheads look long and hard at the importance of management fostering creativity. The discussion works toward the successes in having management with a design background, and leading a creative team. This episode builds upon the last, and contains a wealth of information on navigating the landscape of design in a collaborative environment. Learn how a great design manager or management team can lead and clear a path for, rather than fight or derail a designer. We are beyond thankful to our two friends for joining us and presenting this for your benefit. We hope that you’ll adopt many of the ideas discussed. If you have any questions, comments or suggestions, that you’ll share them in the comments below. And if you’d like us to bring you more episodes, guests and topics like this, please let us know! Thanks for listening.